Piston rings are a critical component in the design of a diesel engine, Engine Fix UK with its vast experience of engine design ensures that the rings we offer are designed, developed and manufactured to the highest standards to achieve the required dimensional and material properties to ensure the product give proven performance, reliability and durability as part of your engine rebuild. Our factories and suppliers ensure that the products are manufactured using systems and procedures accredited to ISO 9001 and TS16949, the company is committed to producing quality products in an environmentally sustaining and friendly way using our broad knowledge of manufacturing engine components for agricultural and commercial diesel engine. 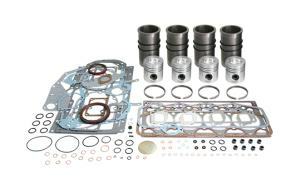 Piston rings are metallic seals that have the function of sealing the combustion chamber from the crankcase and assuring the flow of heat away from the piston to the cylinder, secondary function is to prevent the oil not needed for lubrication from passing from the crankcase to the combustion chamber and to provide a uniform oil film on the cylinder bore surface. 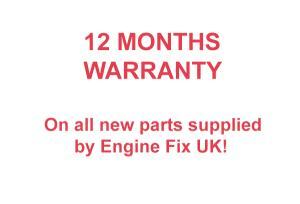 To achieve this the piston rings must be in contact with the cylinder wall and piston groove side. Radial contact is generally achieved by means of the inherent spring force of the ring. Gas pressure in the combustion chamber augments both the radial and axial contact in the piston ring groove, axial contact can alternate between the top and bottom side of groove owing to the interaction of gas, inertia and friction forces. The performance of the piston rings to effect faultless sealing against combustion gas and lubricating oil are contingent on the engine design, the thermal and combustion related dynamic loading, the cylinder design and finish, the piston, the lubricating oil used, the fuel and most significantly, the quality of manufacture and design of the rings themselves. Rectangular - ring is a rectangular cross section, with a peripheral coating and appropriate barrel face the rectangular ring is today used mainly in the top groove in diesel engines. Taper Faced Ring – Due to a tapered running face the ring contacts the cylinder bore at its bottom outer edge, this shortens running-in and improves oil scraping, Taper faced rings are chiefly installed in the second groove of diesel engines. Internally Bevelled or Stepped Ring - The edge relief on the top inside face of the rectangular and taper faced rings effects a twist effect which in all operating phases brings the ring into bore contact only at its bottom outer edge whilst the inner edge contacts the bottom groove side (positive twist), this feature generally helps improve oil consumption, rings of this kind are generally used in the top and second groove of diesel engines. 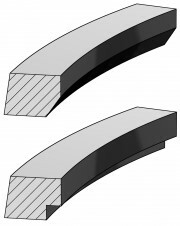 Taper Faced Ring with Inside Bottom Bevel or Step - This ring in the installed condition results in negative twist making the ring contact the groove and create a seal with its outer bottom edge and its inner top side, this type of ring is used in the second groove in diesel engines. Keystone Ring - A compression ring with a wedge cross section, with its tapered sides the radial movement of the ring in engine operation will cause axial clearance in the groove to increase and decrease, this greatly reduces ring sticking, as the ring continuously works its way free of the combustion residues. These rings are designed with an overall side angle of 6 to 15 degrees, the larger angle being more effective against the tendency of the ring/groove coking up. 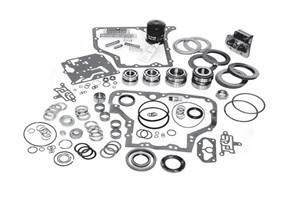 The Keystone ring is used in the top groove of a diesel engine where ring sticking is expected to be an issue. Half Keystone Ring - A compression ring with only the top side tapered, the tapered sides cause axial clearance to vary as the ring moves radially and thus reduces sticking, owing to its asymmetrical cross section the ring has a positive twist when installed, a half keystone ring is used in the top groove of a diesel engine where a rectangular ring is deemed inadequate with regard to sticking but a full keystone ring is not yet warranted. Napier Ring - Can be installed in the second groove of a diesel engine, but has been almost entirely superseded by the taper faced Napier ring. Taper Faced Napier Ring - Like on the taper faced ring, the periphery of this ring is designed with a taper in order to improve oil scraping and quicken running in. Taper Faced Closed Gap Scraper Ring - On the ring the step runs out at the gap and is designed without an undercut, it seals better against blow-by than the two types of Napier ring. Like compression rings they derive their tangential force from their inherent inner tension, the following types are used. Slotted Oil Control Ring - This ring has two outer lands, the sides of which are parallel to each other, as the width of the land is smaller than the overall width a higher unit pressure can be obtained than with a rectangular ring. Bevelled Edge Oil Control Ring - This ring has the outer lands chamfered on the outer edge to produce higher unit pressures than with a slotted oil control ring. Double Bevelled Oil Control Ring - This ring has both lands chamfered on the edge facing the combustion chamber, while the unit pressure is the same, oil consumption is reduced through the improved oil scraping effect. Oil Control rings must have the ability to conform to bore distortions of an engine particularly with lightweight engines, to assure oil economy in such engines highly flexible rings are needed, the usual way of achieving this is to use a multi-piece oil control ring, these have an additional self-supporting ring which presses the optimised ring against the cylinder wall, these rings are produced in two-piece and three-piece designs. Coil Spring Loaded Slotted Oil Control Ring - A ring with two outer lands the sides of which are parallel to one another, the ring has a groove on the inside diameter to accommodate the coil spring. 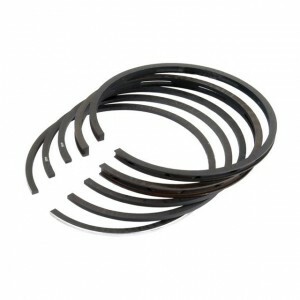 Coil Spring Loaded Bevelled Edge Oil Control Ring - Consists of a ring similar to the bevelled edge ring, but has an additional groove for the coil spring. Coil Spring Loaded Double Bevelled Oil Control Ring - Consists of a ring like a double bevelled ring, but with a grove to hold the spring. Coil Spring Loaded Bevelled Edge Oil Control Ring with Chromed profile Ground Lands – The wear coating gives the ring high long term stability for particular use on diesel engines with profile grinding of the lands to close tolerance. Nitrided Profiled Steel Ring - A bevelled edge ring made from high chrome steel, wear protection is provided by nitriding the ring all over, Oil drainage is provided by punched holes. 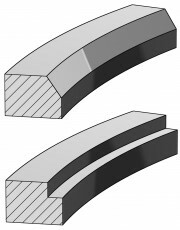 These rings consist of two thin steel rings known as rails(segments) and an expander – spacer which holds the rails at the required relative axial distance whilst pressing them against the cylinder wall, three different styles of expander spacer have become established in the marketplace described below. If the expander - spacer is made from nitriding steel the treatment can provide effective protection against secondary wear. Whereas in the past the running faces of the rails were always chromed increasingly this has been replaced by nitriding used in conjunction with a nitrided expander to meet more exacting durability targets. VF System - an expander spacer made from a slotted steel strip formed in a U shape, the open side facing the inside, spacer is usually made from carbon steel and is therefore not nitrided, A similar type in a nitridable Chrome Nickel steel also exists. MF System - The expander spacer consists of a Chrome Nickel Steel strip with axial humps, systems with an untreated spacer and chromed rails as well as all nitrided systems are in use. SS50 System - the expander spacer is made from Chrome Nickel steel but the steel strip is humped in a radial direction. Such systems are also in service with an untreated expander spacer and chromed rails or in an all nitride version for tougher demands. Rings are subject to complex stresses under dynamic mechanical and tribological loads, these loads require the use of high strength materials operating at temperatures of 200-300 degrees centigrade and should also possess good wear characteristics for operation in normal and dry lubrication conditions, in addition the material needs to have inherent good thermal conductivity and thermal expansion. Increasingly corrosion resistance and resistance to micro welding are also required in modern day piston ring materials. Ring materials are selected from various grades of cast irons and steels depending on their use as compression or oil control rings. Steel materials include Martensitic, Chromium and Spring, and cast irons including grey (graphite flake) or ductile (nodular graphite) are used in a non-heat treated form or hardened and tempered. The preferred material for compression rings is a low-alloyed heat treated nodular cast iron with high bending strength and a high modulus of elasticity generally offered by a martensitic microstructure and spheroidal graphite structure. For the 2nd groove, the choice is generally alloyed grey cast irons used in a heat treated condition, together with high bending strength and modulus of elasticity, a hardness of 320 to 470 Brinel hardness is required to produce the wear resistance in an uncoated condition. High wear strength can also be achieved by the use of tempered alloyed cast iron. 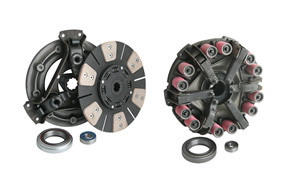 Unalloyed grey cast iron is used for 2-piece oil rings in the 3rd groove. 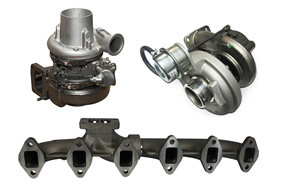 Increased combustion pressures in diesel engines as a consequence of tightening emissions standards require materials with increased strength characteristics such as high chromium alloyed steels and spring steels, for improved wear resistance these steels are mainly used in a nitrided condition or with a peripheral coating. The steels mentioned are used chiefly as compression ring materials as well as the steel rails and expander spacers of oil-control rings and for 2-piece profiled steel oil rings. Chromium Plating - Applied to the piston ring running faces is noted for high wear resistance accompanied with low cylinder wear, coatings are mainly used on rings in the top groove where the mechanical and thermal loads are at their greatest and on oil rings, also in truck diesel engines the rings in the second groove are often coated with hard chromium, the hard chromium is lapped to ensure no scuffing in early life. Thermal Spray Coatings - These are used in diesel engine applications where there is increased risk of scuffing, the materials used in the spray process range from all-molybdenum to metal ceramic composite coatings and all ceramic coatings. Nowadays metal – ceramic coatings predominate in diesel engines. Nitriding and Nitrocarburizing - Used mainly for increasing hardness to reduce abrasive and adhesive wear and improving scuff behaviour. Grey iron piston rings are cast as individual rings or are cut from pots or cuffs, the rings are machined to the required shape using double cam turning, the ring blank is already axially ground and is copy turned simultaneously on the inside and outside diameters, then a segment equivalent to the free gap is cut from the ring and it assumes the free shape that will give the required radial distribution when fitted into the cylinder. Besides double cam turning the ring blanks can be shaped by machining the inside and outside diameters separately. Steel piston rings are made from profiled wire, the rings are initially coiled in a circular shape and then the gap is cut out, the necessary shape is obtained by using a heat treatment process in which the rings are mounted on an arbor designed to achieve the required radial pressure distribution. Profiling of the running faces of taper faced Napier and slotted oil rings using automatic OD lathes or profile grinding machines using special cutting tools before or after coating.